Before I get into the details of this monitor, I must confess that I bought one of these for my personal home office. Therefore this is a hands on review and reflects my own personal experiences of the Dell U2415. 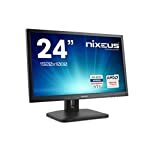 The U2415 is slightly unusual in that it offers a 1920×1200 resolution. This can be thought of as essentially an HD screen but you get an extra 120 pixels in height meaning that this is a slightly squarer monitor compared to the usual 1920×1080 format. I’ve historically always had two screens, one wide and one square so this fitted in nicely with what I’m used to. And don’t underestimate those extra horizontal pixels, they do come in very useful. The monitor uses an IPS panel made by LG.Display (specifically part number LM240WUA-SSA1) capable of faithfully reproducing 16.78 million colours on screen making it suitable for those looking for high quality display performance. It is also factory calibrated for top notch out of the box performance, so if you are like me and just just want to plug and play, the U2415 starts to look an attractive option. One of the attributes I was looking for when I bought my U2415 was a super thin bezel and I was not disappointed by my purchase. It measures just 1mm around the sides and top and a respectable 15mm at the bottom. That said, there is a border around the image of around 5mm, it doesn’t stretch to the edges of the bezel. The Dell is a very smart looking monitor that I am proud to show off in my home office. There is no power brick to hide away under your desk which is another big plus for me. All the modern connectivity is present, 2x HDMI (with MHL), 1x DisplayPort and 1x Mini DisplayPort but do note that if you are hoping to hook up an older card there is no DVI or VGA. Time for an upgrade! Or you could try a DVI to HDMI adapter. I can confirm that this monitor is VESA 100×100 compatible as I have mounted mine on a monitor arm. I therefore can’t discuss the provided stand from first hand experience as I never even attached it but it is the standard silver matt plastic Dell Style featuring the full range of adjustments. I had nothing against the stand, I just prefer monitor arms, I would recommend one for saving space on your desk and they just look cool! I can report that the monitor remains cool and silent during use, no annoying buzzing sounds or anything like that. The top quality out of the box image quality was a big draw for me when I purchased this monitor and it didn’t let me down. Having lived with an old under performing TN monitor for many years it was a revelation to move into the world of properly calibrated IPS panels. I don’t have professional testing equipment but I can tell you the screen looks damn good! I didn’t buy this monitor for playing games on but Dell claims response times of between 6ms to 8ms G2G transitions. Professional testing shows that this holds true and that the overdrive technology used to boost performance performs well. Overall gaming performance is actually very impressive given that it does not feature top level refresh rates and adaptive sync tech. It comes up well in tests for an IPS based panel that doesn’t have gaming as its main focus. 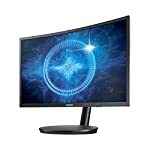 The monitor scores well for overall lag too making it a viable choice for professionals looking to game on the side. A quick note on IPS glow, I’ll upload a photo if I can capture it but the U2415 does exhibit the characteristic white glow typical of IPS screens. On mine it is most notable on the bottom left hand corner and some may be bothered by this. It’s quite normal though and barely noticeable in day to day usage. Why did I buy the U2415? The core attraction for me was a top quality factory calibrated IPS panel that was going to give me good quality images. Having suffered with an older poor quality TN panel for many years I wanted to get something that was going to give good colours. I was fed up with being unable to pick out subtle changes in hue, especially when looking down on my old monitor (it had no height adjustment and was not mountable). I also wanted something that looked good, suited a professional home office. Quality of images was priotitised over gaming features (I have another monitor for that!). We give the Dell U2415 a 4.5 out of 5 rating. Want to know what existing owners of the monitor think? You can read real user reviews here. 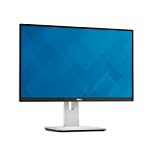 Should I buy the Dell U2415? The U2415 provides solid all round performance. 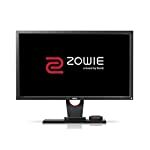 Response times are improved compared to older versions of the monitor and the addition of attractive super slim bezels makes this is a top choice for professionals looking for top image quality and the odd game. In fact, I liked it so much, I bought one myself! If you are having some doubts about this purchase then why not read some real owner reviews and see what other buyers think. Welcome to the Dell U2415 FAQ. This section attempts to answer common questions you may have, please get in touch if you have any more queries or if you think our answers need updating. 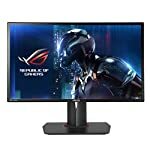 Is this a 16:9 monitor? No, the native resolution is 1920 x 1200 making it a 16:10 monitor. This gives it a slightly squarer feel and the extra height is a nice bonus for work applications. There are also options to run at 4:3 and 5:4 in the setup menu. No 16:9 option though. Not a problem for PC users but might have been useful if you were planing to plug in other devices such as a games console.